Paulines Publishing House is an apostolic ministry of the Daughters of St. Paul, a missionary congregation of religious Sisters who serve the Church and proclaim the Good News through the communications media. PAULINES is the trademark as well as the logo that reflects the character of our spirituality and mission that are rooted in the life and teaching of St. Paul, the apostle who dedicated himself tirelessly and passionately to the proclamation of Christ the Master, the Way, the Truth and the Life to all peoples. 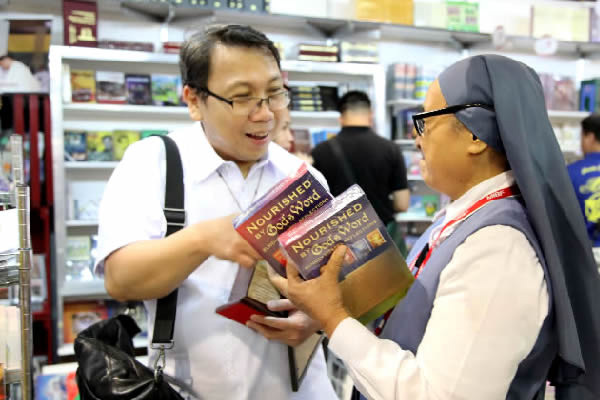 The content of our publications and products is religious, spiritual, moral and value-formative for everyone. 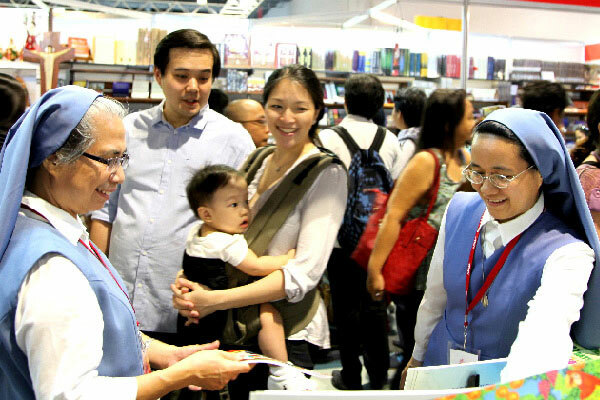 Every single product that comes out of our publishing house aims to promote positive values rooted in the Gospel and the Teachings of the Church. We also have various forms of animation and formation initiatives aimed at promoting a culture of dialogue, utilizing the media for greater human and cultural development, and a more expansive evangelization. We, at the Paulines Publishing House, are committed to dedicate ourselves to the service of the Gospel and cultures using all the means and languages of communication. It is important to see to it that people do not go hungry and that they are able to live with dignity. But it is equally important to offer them “the bread of the Gospel” to satisfy their hunger for the Truth and for the Absolute. Blessed James Alberione invited us to center our mission on the WORD and in the Eucharist. He urged us to use today’s new instruments and technologies to communicate the Gospel. To seek new paths, to create crossroads and meeting points so that always more people can get to know and welcome Jesus. This is what the Daughters of St. Paul live for. We must broaden our ideas, expand our hearts, strive to understand all people, and make no distinctions with regard to race or creed so as to respect and promote all the good elements in every person and culture. So as to dialogue with everyone, we commit ourselves to adopting a language suitable to our times and to the different conditions of people, convinced that the boundaries of our mission encompass the entire world!